The Weslaco School District recognized an important need to develop an aquatics program for the Weslaco High School students. 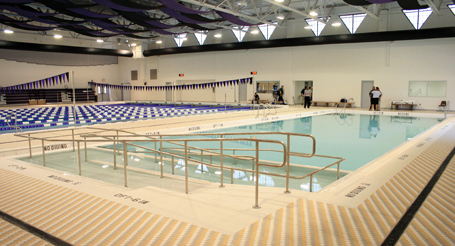 In addition, the school district wanted the state-of-the-art natatorium to be accessible for athletic training and lessons to community members as well. Counsilman-Hunsaker was chosen to assist the Weslaco School District due to a comprehensive focus in educational facility aquatic design, and to help meet their aquatic programming needs and objectives. In concert with the architectural firm Vitetta, this facility is designed to host both community and high school events and will be used for competitive and leisure swimming as well as lesson programming.